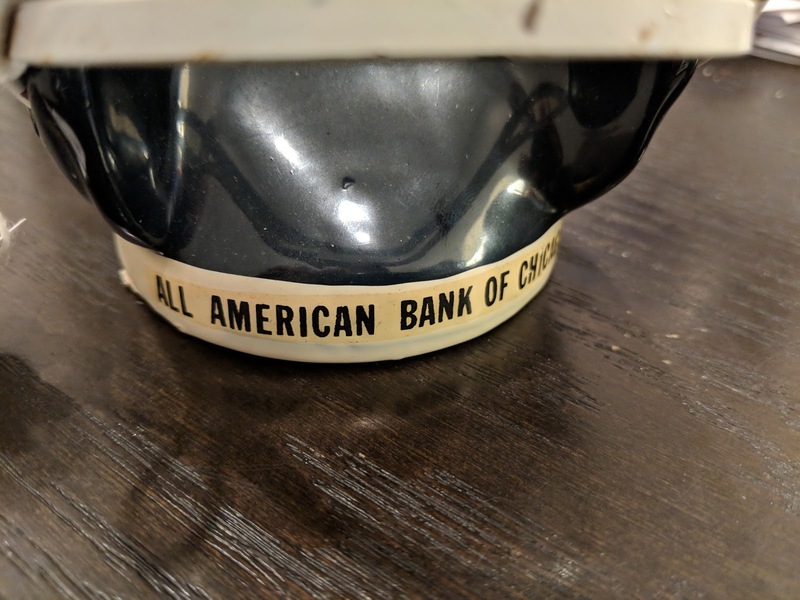 I came across this vintage Chicago Bears helmet bank from All American Bank of Chicago up in Wisconsin at an Antique Mall. There were a pair of them - this one and another one with a weird bird logo on the helmet. Nat and I were puzzled by that one, so I only bought this one. This is intended as a gift for one of my brother-in-laws. Those of you who have kept up with the blog over the years might recall this sweet vintage White Sox bank that I posted back in 2014. I gifted that bank to the same brother-in-law that this one is destined to be gifted to at some point. Christmas is the likely time when I will give this, but maybe birthday season? This is from the All American Bank of Chicago, which appears to be a "failed bank" per the FDIC. As for the bank, you'll note that it has the all-white "C" on the sides. According to this page, that logo was in use from 1962 to 1973. 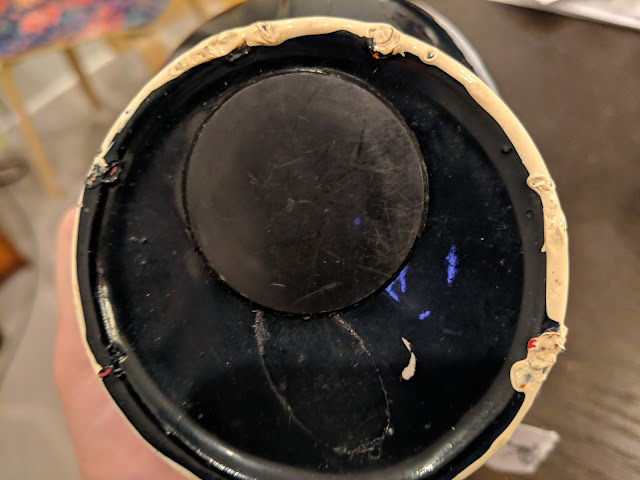 So this helmet was a give-away from the bank somewhere in the 1960's or early 1970's. The bank is in good shape with a little rust on the facemask. 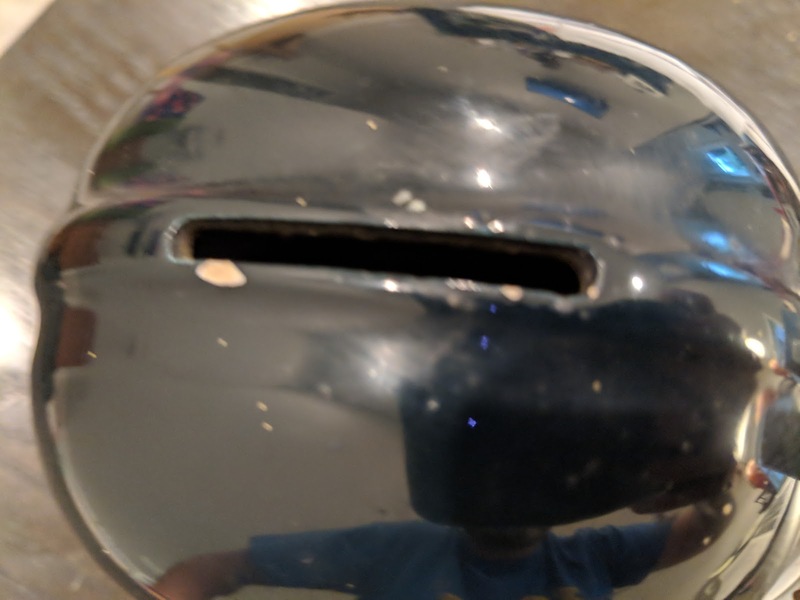 The slot is big and ready to accept your change. And, the plastic/rubber plug is still in the bottom of the bank. Looking back at the vintage red-logo'd White Sox bank, the plug was missing. As for the 'weird bird one', my guy told me that it might be a Chicago Cardinals helmet, but according to Wikipedia, they moved out of Chicago in 1959. 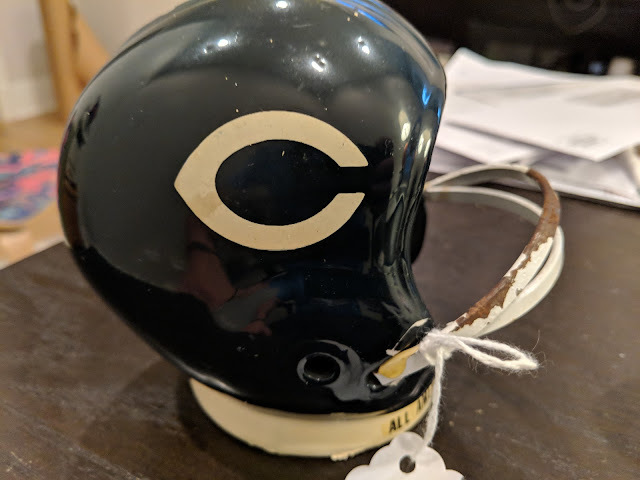 If the Bears used the white "C" logo starting in 1962, and the two helmets at the Antique Mall were issued at the same time (based on how they look, I presume they were), it couldn't have been the Cardinals. The dates won't match up. So, who else could it be? What other football team played in Chicago from 1962 to 1973? And had a bird logo? The only thing that I can turn up is the Chicago Owls. We'll have to go back to the Antique Mall and see if the helmet is still there. I've filed this under the [Vintage Sports Stuff] category here on the blog. All sorts of neat stuff there.